What is a translucent powder? A translucent powder is a colorless powder for your face whose purpose is setting your makeup. It is further useful to control shine, fix makeup mistakes and give you a beautiful matte finish! This product has many benefits and it definitely deserves a place in your makeup arsenal! What I love about translucent powders is that they match all skin tones really well, but you also have to make sure to blend them in properly. As the translucent powder is oil-free, it is the perfect product for oily skin! To clarify the term translucent, the latter means transparent which is the reason it looks great on all skin tones! How to apply a translucent powder? A lot of girls apply the translucent powder all over the face which is fine, but as I don’t like to have the feeling of a heavy face, I usually focus on the area under my eyes. I apply the translucent powder over my concealer, as it keeps it in one place and my concealer does not crease then. 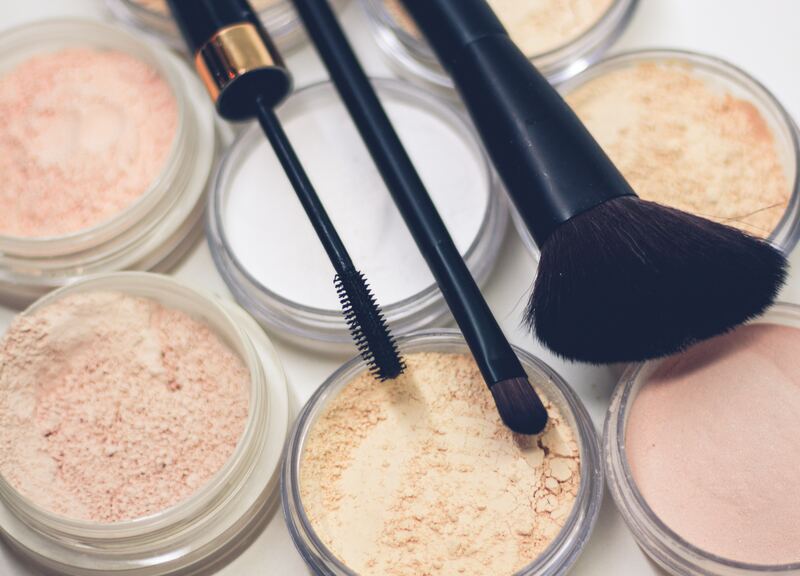 It can sometimes be difficult to understand the difference between Finishing and Setting Powders, and this article will help you out! The translucent powder is the perfect choice if you’re not into using a lot of products on your face – like me! I put on makeup every day, but I only apply a foundation, concealer, and bronzer and generally avoid powders as they make my face look cakey or just too doll-like! Translucent powders are a great touch up throughout the day and will make your makeup last much longer! If you want a precise application of the translucent powder, in case you’re focusing on your T zone or under your eyes, make sure to choose a smaller brush. It will be easier to apply and reach difficult corners of your face.bTo find out more about the brushes you need to have, check this 7 Essential Makeup Brushes: Tutorial for Beginners video. Note: the translucent powder is usually applied after the foundation and the concealer! Using a powder blush, you can set it for a less glossy look. I found out about this trick a few months ago and It literally changed my life! Before applying your mascara, first apply a translucent powder using a clean mascara brush. Your lashes will look fuller and will prevent them from getting stuck to each other! The purpose of the translucent powder is removing oil from your skin! But that is not it! The powder can also remove oil from your clothes, which is a trick I wished I knew before (crying and thinking of all the ruined shirts.. ) What you have to do is just apply some powder on the oil stain, leave it on during the night and brush it away the next day. This magic trick works perfectly! If you don’t have time to wash your hair but still want to look decent, the translucent powder will help there also! Apply it on the top of your head and brush it! This product is great for darker hair as well, as the powder does not leave any marks. Let’s admit it! Sometimes we are just a bit too much enthusiastic about our new eyeshadow or blush and apply too much of it. I have to disappoint you – more does not necessarily mean better when it comes to makeup, so less enthusiasm will actually make your look a favor. Do not try to remove the excess with wipes as you will remove your foundation as well, which will be just impossible to fix. Instead, apply some translucent powder over the area with a brush and blend it in nicely. It will make your makeup seem natural and will fix the problem instantly! I often apply the translucent powder even on the smallest imperfections, as it gives me an overall better look. This Laura Mercier Translucent Powder is definitely one of my favorites! When I apply it, my makeup can last up to 12 hours, which is a big deal for me! Although the translucent powder should be transparent, a lot of brands actually offer different shades for a deeper setting. The Laura Mercier one comes in the Translucent and the Translucent Medium Deep versions. I use the lighter version and absolutely love its weightless texture. The application is super smooth, the powder doesn’t settle into fine lines and I never have a cakey look! Purchase the product here. This YSL Souffle D'Eclat Finishing Veil contains the ‘Micro Mother of Pearl’ particles which enhance the natural dose of complexion’s radiance and gives you a slight shimmer look. Although it is quite pricey, it will last you long and I do think it is worth every penny. It is so finely milled and has a creamy texture which makes the application very smooth. It makes my pores look invisible and although I have dry skin, this powder makes it seem so healthy. You can purchase it here. If you are not the biggest fan of my choices, then check this article with the 2018 best setting powders! You can clearly see from this post that I am a big fan of this magic product, but I am really curious: what are your thoughts about translucent powders? Are you using the same ones as I do? Do you like it?